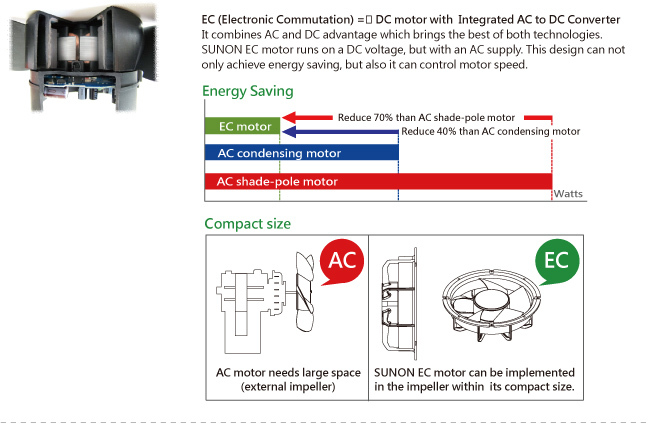 The EC Axial Fan & Motor » HHP Associates, Inc.
SUNON EC axial fans applied to high efficient brushless DC motors result in an 80% reduction in power consumption over conventional AC axial fans. Furthermore, it passes the dustproof, waterproof IP68 rating. 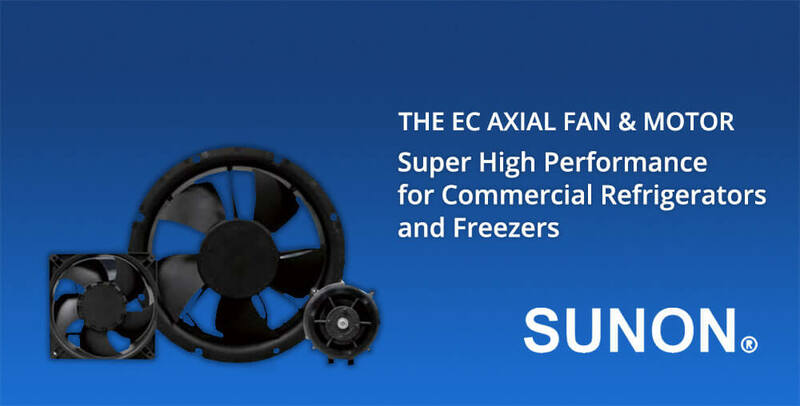 SUNON EC fans meet the EU ATEX directive and protect most flammable refrigerants (such as R600a, R290, R32, etc. ), ensuring the safety of commercial refrigerator, freezer, icemaker, heat pump water heater, heat pump dryer and air conditioning applications.